The president tweeted that Matthew Whitaker, chief of staff to Sessions, will become the acting attorney general. Whitaker, according to sources, is now overseeing everything at the Justice Department, including the Russia investigation -- despite calls from Democrats to recuse himself. We need an activist AG to be for Republicans what Eric Holder was for Democrats. Jeff Sessions is an old school conservative and he played it too straight. For example, rather than shut down the Obama regime's billion dollar slush fund used to funnel money to far-left activist groups, he should have just redirected that money to right-wing activist groups like the Center for Immigration Studies, Federation for American Immigration Reform, National Rifle Association and so on. If this election showed us anything it's that we need radical change if we're to survive. 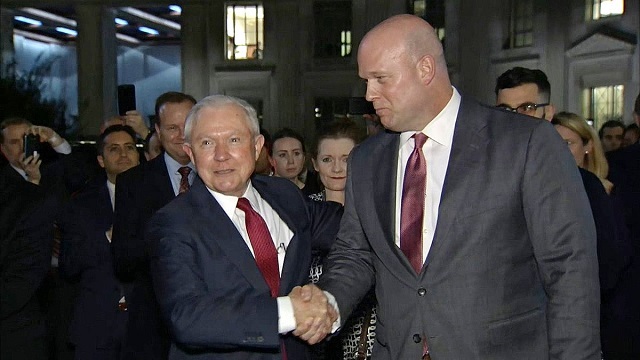 Hopefully, Whitaker will be the hero we need.